They're having server issues, but do check back as they are trying to resolve. There are still places to stream current and past episodes. Just no downloads right now. I enjoyed Ultima Thule for years! Why was it dropped from Itunes???? This fine radio broadcast has been dropped from the radio station's line-up. With it the podcasts seem to be DOA also...a real shame. The Electroshock Records feature that you all did was absolutely incredible. Please feature more of this type of thing. All the DJs do a good job. Kudos to Mr. Cruickshank and his crew. Perfect before-bed reading music. Been listening for over a year and very very satisfied and appreciative. Over two decades of ambient excellence. This podcast brings state-of-the-art ambient, trance, neoclassical, ancient and modern brilliance to the world from Australia. With a show archive now spanning over two decades, Ultima Thule is the ultimate authority on minimum chatter and maximum chill. Vocal soundscapes, electronica, orchestral, the far east, soundtracks, unreleased gems heard NOWHERE ELSE...this podcast is a must for the curious. You'll find sounds you'll instantly love, and sounds that push the boundaries of what your ears may consider decent... brilliantly compiled for your aural consideration, with NONE of the "fake cool" you'll find on other podcasts. Take time to explore the many genres within... you will NOT be disappointed. This is one of my favorite podcasts. Wonderful to have on when relaxing, reading, meditating, studying, working on the computer...living my life. Thanks to all those involved in its production. If you want to know the dimensions of the ambient/ spacemusic landscape, there's no better atlas than this weekly show. Minimal announcer intrusions; terrific selections from the ambient universe--you can't live without this! I love that they are not only posting the most recent broadcasts - 766 this week - but also posting an older and older broadcast recording each week as well - 485 this week - in an effort to complete the collection one week at a time. These are all very precious mixes that all rate 5 stars every time. George and company are the world's best compilers of great Ambient performances. So far we have 281 episodes totaling 419 hours of incredible music. Fantastic for romance and intimate encounters with your lover. And this is all FREE. Amazing. Thank you George for all your great work along with all your associates. We love you all. Sorry I missed the first fifteen years . . . . I just discovered this podcast and listed to three whole sessions last night. What a revelation. It goes way beyond ambient background music. It's a historical summary of the human aural experience and a prediction of what is to come. Magnificent! Ultima Thule is nothing less than a veritable wormhole traversable to another dimension in spacetime. Download your key to another reality and set your mind free. George where is 740 - 741 - 742 ? My I-Pod is hungry. Move Over Hearts of Space! I love this podcast/show because they play the deepest type of space music around. It has a kind of sweeping hypnotic effect on you that is very positive. I just download it to my Nano and chill with it for a good long 90min. I like UT more than HoS now because the music is better overall and it's a free download (HoS only streams once a week). This is definitely the best ambient program going right now. Expertly mixed ambient music that will calm, inspire and expand your mind. No doubt my favorite podcast out there. Where did this masterpiece go?!?! 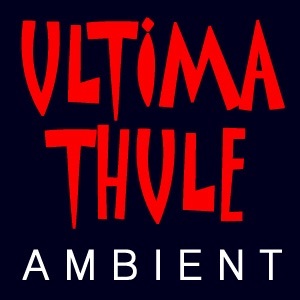 Ultima Thule was the highlight of my week, and being able to listen to this wonderful Austrailian radio show gave me a good insight into the ambient music scene on the other side of the world. But it seems to have disappeared... Wherever you are, Mr. Cruickshank, please bring back Ultima Thule! ... I look forward to the latest installment from the folks down under. It's very relaxing, the mixes are thematic, and I, too, can work to them. I can't tell you how many papers and exams I've graded to Ultima Thule. I am so glad I found this podcast. Great music to work to. I can't believe all of this music is free.